I just adore both Shepherd’s and Cottage pies, lovely tasty meat filling topped with creamy and cheesy mashed potatoes. 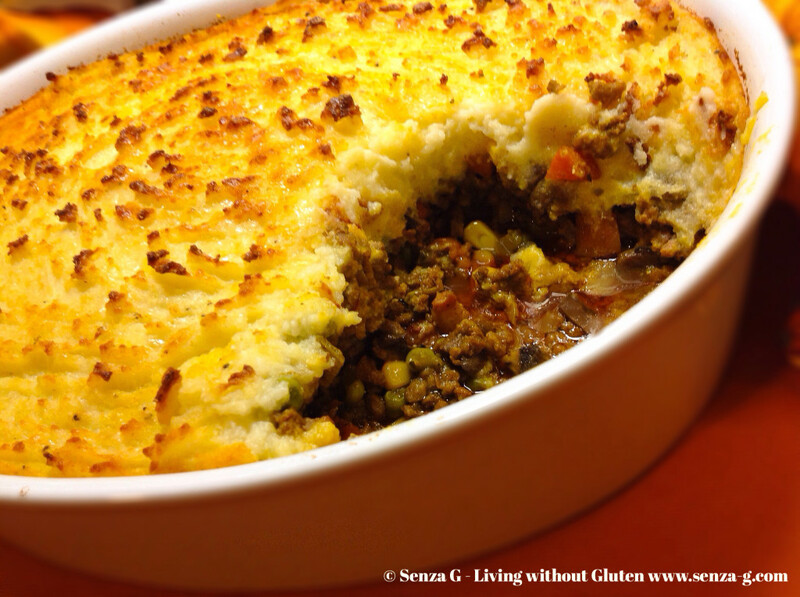 Mine is a Cottage Pie with a twist however, an experiment that turned out right. I had some leftover ricotta in the fridge so I mashed that with the potatoes and a bit of Parmesan for a great taste! Also, the meat filling is lovely and smoky, with the addition of smoked pancetta, smoked paprika and a dash of Barbecue Sauce. And if you like chilli, add that too … to give it a nice kick! Kindly ensure that the sauces you will be using are all labelled Gluten Free! Sauté the onions, carrot and celery over medium heat. Add the pancetta and the minced meat and cook until browned. Add the garlic, mushrooms, spices, chilli if using, the tomato paste, stock, thyme and wine and cook until the wine is nearly absorbed. If too dry, add a little stock. Add the Barbecue Sauce, Worcestershire Sauce and season with salt and pepper. Add the drained sweetcorn and defrosted peas. Take off the heat and pour the meat mixture into a lightly greased oven dish. Prepare the mashed potatoes by boiling them until soft in salted water. Drain and put in the same pot. Add the butter and using a wire masher, mash the potatoes. Add the ricotta and Parmesan and keep mashing until both are combined with the mashed potatoes. Season with salt, pepper and some garlic pepper if using, mixing them in with a whisk. Top the meat mixture with the mashed potatoes, and decorate the top with the prongs of a fork by dragging it in circles around the top. Sprinkle with grated Parmesan and dot with butter. 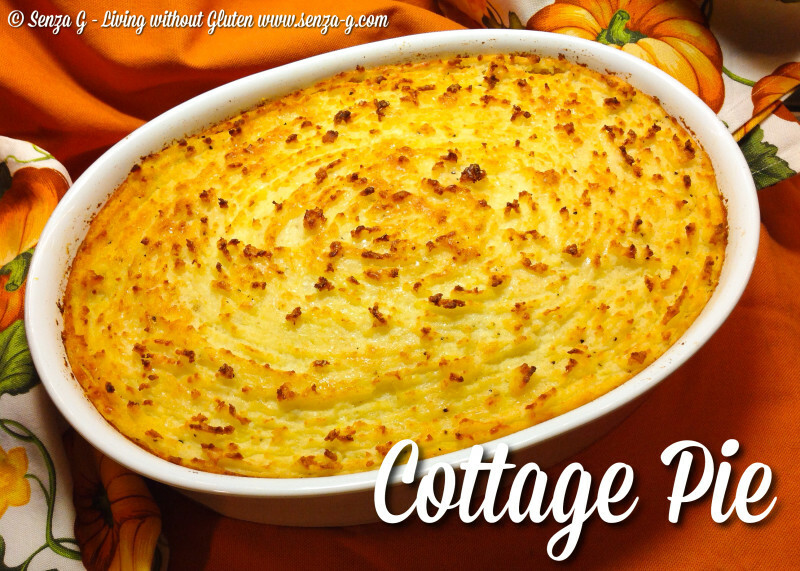 Bake the cottage pie for 25 minutes or until the top starts turning golden.